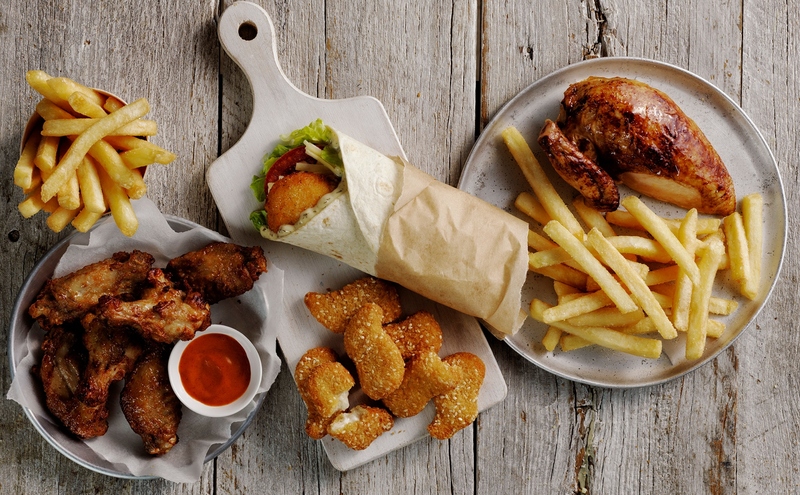 Order your favourite roast chicken, and burgers from a Red Rooster restaurant near you. Free Delivery*. $25 Minimum Spend. Get Red Rooster delivered to your door! The aroma of roast chicken is a universal scent that kickstarts grumbling tummies – yes even aliens in our vast universe love roast chicken. But in our busy lives, roasting a tender chook and putting together all the delicious trimmings takes time. Time we just don’t have. But why should busy-ness stand in the way of a hearty, crispy-skinned, crowd-pleasing meal? Red Rooster has been the meal-saviour for countless Aussies for decades, doing all the hard work and creating nourishing, wholesome, healthy and natural meals. So, when the craving for mouthwatering, Red Rooster arises, simply order on Menulog, and in no-time, you’ll have a complete feast to enjoy in the comfort of your home with your family and friends. No need to spend hours in the kitchen when Red Rooster has lovingly spent a full 55 minutes roasting your chicken dinner. Imagine what you can do with the time you would waste picking up your takeaway when Menulog can remove the the hassle and organise the home delivery. It’s the chicken Australia has grown up with, Red Rooster. For the ultimate hassle-free dinner or lunch, why not let Menulog save the day and deliver an entire feast to your home? From whole chickens, salads, chips, drinks, desserts and so much more, Red Rooster will keep the whole tribe happy - no hangry people to deal with.